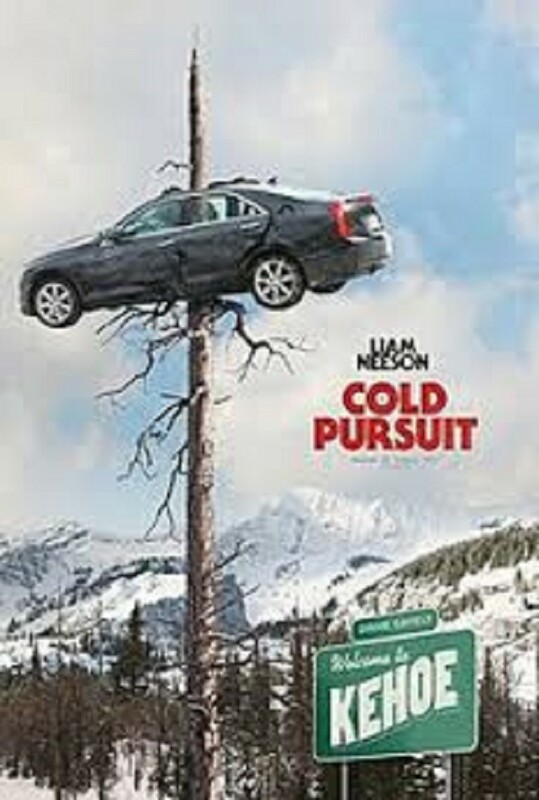 MyBayCity.com MOVIE REVIEW: "Cold Pursuit." .... A Very Good Movie. It was violent and bloody. It's an action movie about revenge. The body count is around 15. However, above all else, it turns into a very dark comedy around the half-hour mark. There are more twists and turns than I expected. Liam Neeson is Nels Coxman a snowplow driver and well-respected citizen of Kehoe, Colorado. Laura Dern is his wife. She really has very little screen time. Michael Richardson, Liam's real son, plays their son Kyle. Tragedy comes early as Kyle is murdered by drug dealers. Of course, this is where the revenge starts. Nels begins to work his way up the ladder of dealers to the kingpin, Viking, played by Tom Bateman. Viking is such an evil controlling person. You see this with his son and ex-wife. The humor starts around this time also. Each person involved with the drugs has a nickname, Speedo, Limbo, Mustang, Wingman, etc. After each one dies the screen goes black and their full name and nickname appear with a small cross on the screen. I found myself laughing and feeling bad because I found much of it funny. The movie is a remake of a Norwegian movie and has the same director. The acting is good. The scenery is so majestic and cold. I found myself shivering as though I was there.